IBX is often out in the community meeting people at health clinics, community fairs, seminars, festivals, YMCAs, and many more places throughout the region. Preventive care is the care you receive to prevent illnesses or diseases. It also includes counseling to prevent health problems. 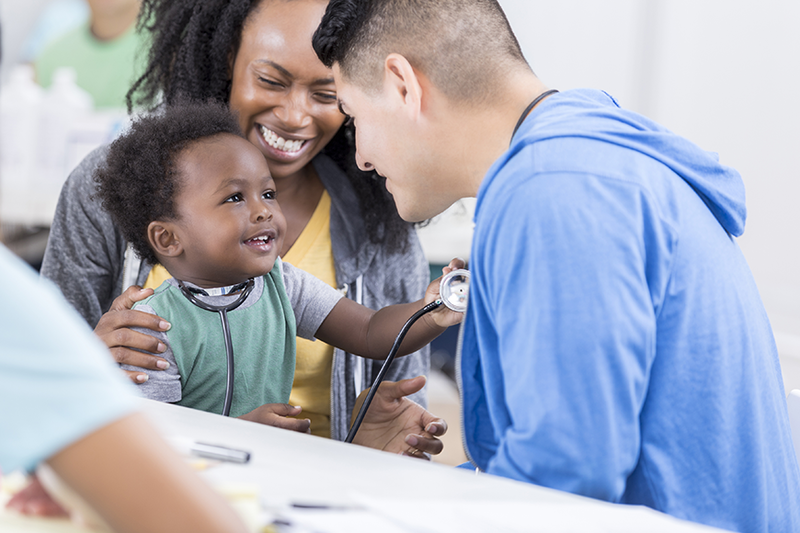 Providing these services at no cost is based on the idea that getting preventive care, such as screenings and immunizations, can help you and your family stay healthy. Preventive care may also help reduce your health care costs down the road if you catch a problem early, or if an immunization keeps you from getting a serious illness. Here are a few pointers about what’s covered, plus tips to help you know what to expect. There are certain recommended preventive services and immunizations based on your gender and age. You can also see the full list of preventive care services. Is There Ever a Chance You Might Have to Pay? Many preventive services are 100 percent covered by insurance. For example, if you have an IBX plan, you won’t have to pay anything for these services if you see a doctor or health care professional within our network. But there’s a chance that you may still be asked to pay after a visit for additional services. It’s important to make sure that you and your doctor are on the same page. Always ask what services your doctor is providing. What you pay will also depend on how he or she bills your health insurer. If a preventive screening uncovers something that could be serious, your doctor may order additional tests, schedule a follow up visit, or refer you to a specialist. The additional tests and follow-up may not be 100 percent covered. If a preventive screening uncovers something that your doctor says needs to be addressed right away, then that visit may switch from being prevention to treatment. Also, if you see a doctor to diagnose, monitor, or treat an illness or injury, the visit is not considered preventive care. In these cases, your normal cost-sharing would apply (copayments, coinsurance, or deductible). There may be limits on the number of preventive services you can receive with no out-of-pocket cost. For example, in some plans, a wellness exam may be 100 percent covered once every other year. However, if you get a checkup more often, your normal member cost-sharing fees may apply. In any case, it’s always a good idea to check with your insurance company ahead of time on the services that will be covered. What If You Are Charged for a Preventive Care Service? If you’re charged for a service you believe should have been 100 percent covered, here’s what you should do. Keep your paperwork. You can save a lot of time later if you keep your paperwork and bills handy. Check with your doctor’s office. Ask what services were billed to the insurance company. Does it match what you remember from your visit? If it turns out there was a mistake, the doctor’s office can send a corrected claim to the health insurance provider. Check with your health insurer. Ask what services the doctor’s office billed. Does it match what you remember from your visit? Ask your doctor for a reimbursement. If your doctor agrees that a mistake was made with your bill, ask your doctor to reimburse you the appropriate out-of-pocket expense. The IBX Insights Team is here to provide tips on using your health insurance and living a healthy life. Why do I need to enroll in a new health plan? Why can’t I continue in my current plan? 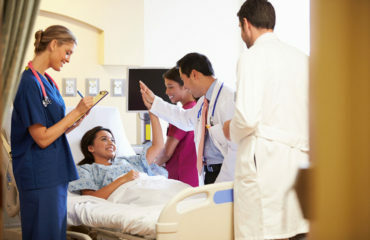 The new health care law requires some plans to be replaced by new plans that cover essential health benefits. Here is some information on what this means for you and what your options are going forward http://bit.ly/1ik5VpS. If you’d like to speak to a representative about your health care options, please call us at 1-888-475-6206. Ask IBX Team Member Josh S.
Please take a look a the letter that was sent out by IBX (the code on the bottom of the letter is 628258-03). It was poorly worded. I have a workplace PPO plan thru another BC/BS. My wife asked me why we needed to enroll in a new plan – since the letter said, “you’ll have to enroll in a new plan.” It didn’t say “might.” Some recipients could easily think they need to switch plans when they don’t have to do so. I know what the letter was trying to say, but it was very ambiguous. I need assistance. Is our plan cancelled? We received the same letter stating we need “to enroll in a new health plan by December 15, 2013.” Does this mean our old plan has been canceled? what doe sthis mean for premiums , coverage, our doctors and hospital? The letter we sent was to make sure you knew that in order to have coverage on January 1, 2014, you would need to select a new plan by December 15. However, as you may know the President made a proposal last week that may allow members to keep their plans for a period of time. We are moving quickly to understand the President’s proposal and its implications for our members. We are also working with the Pennsylvania Insurance Department to determine what can be done to ensure that our customers have health care coverage and affordable options. Over the next couple of weeks, you’ll receive more information from us either by phone or mail. In the meantime, you may want to consider one of our new health plans and you may be eligible to receive a subsidy to help with costs. 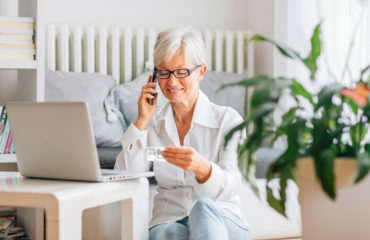 For more information about these plans, please go to http://www.ibx4you.com or call 1-888-475-6206 to speak with one of our representatives about your plan options. Ask IBX Team Member, Shawnee B.
I have been trying to find a definition that specifically addresses – Preventive care in conjunction with Emergency care. For example: A woman has x number of preventive care visits allowed per summary of benefits, for pregnancy. Woman becomes ill and goes to emergency care. Condition is not as a result of pregnancy but because hospital reports the pregnancy, the insurer denies the coverage for the visit stating no emergency coverage for pregnancy. This is a set-up, many illnesses e.g. bladder infection, kidney infection, food poisoning, migraine, can result in nausea and vomiting however, due to the cursory nature of the medical care provided at an emergency room, pregnant with nausea and vomiting equals “Hyperemesis gravidarum”. Given that an anti-biotic was prescribed and given that WBC was high, how does one combat the “NOPE sorry, pregnant, no coverage”? Hi Kay, thank you for your comment. We would be happy to help answer your questions. Please send your info to http://www.ibx.com/askibx and we will reach out. Sincerely, Daina H.
I am in the process of trying to get insurance, the plan that I am looking at is thru Blue Cross. At little over $300 a month with a $4000.00 deductible. As far as wellness care, (I need to have a mammogram, I am 62, would that be covered or would it go thru my deductible? Hi Denise! Thank you for your interest. Please send your info to http://www.ibx.com/askibx and a rep will be happy to reach out and help you. Sincerely, Daina H.